Blog Have You Discovered ZipRecruiter Resumes Yet? Resume search looks like this; I find it to be user-friendly and delightfully fast. You can also set resume alerts. 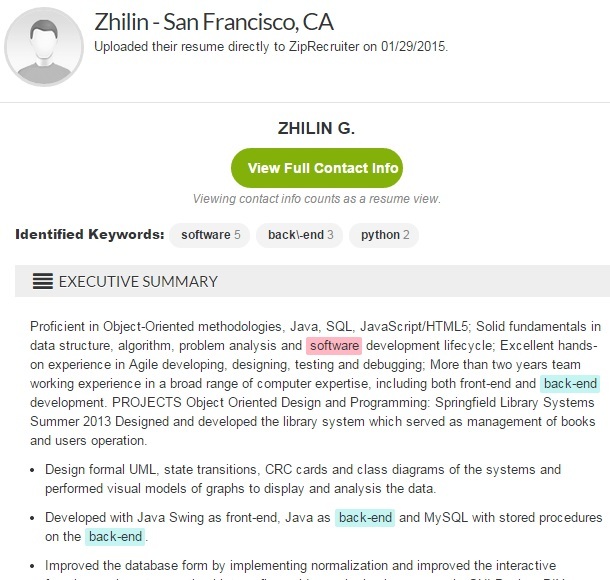 Just a few days ago, ZipRecruiter was showing the lists of jobs each applicant applied to. This was an obvious privacy issue; as of today, that is no longer visible. You can still find that info in Google’s cache, as of today, but it will be gone soon. It seems like, still, more info is visible than should be. 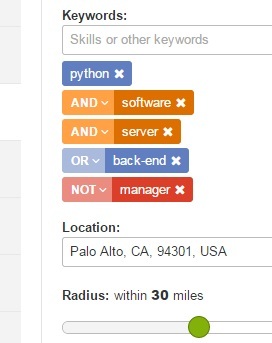 I have not tested enough to verify, but I suspect that all resumes are shown in the searches, whether the person wanted their resume to be found in the resume search or not. Those not-opted-in resumes can be previewed too, but don’t show any info when you to to the resume page. If this is the case, it will probably be fixed soon, and we’ll probably see fewer search results then as well. A resume preview looks like this; the last name is not displayed, unless you subscribe. Being skilled Sourcers, we can usually find the person’s name, not shown on a “blind” resume, by searching for that person’s companies, titles, and keywords online. In fact, in ZipRecruiter, at this point you don’t even need to search to find the full name. (Hint: don’t look at the search results; just read the search string). 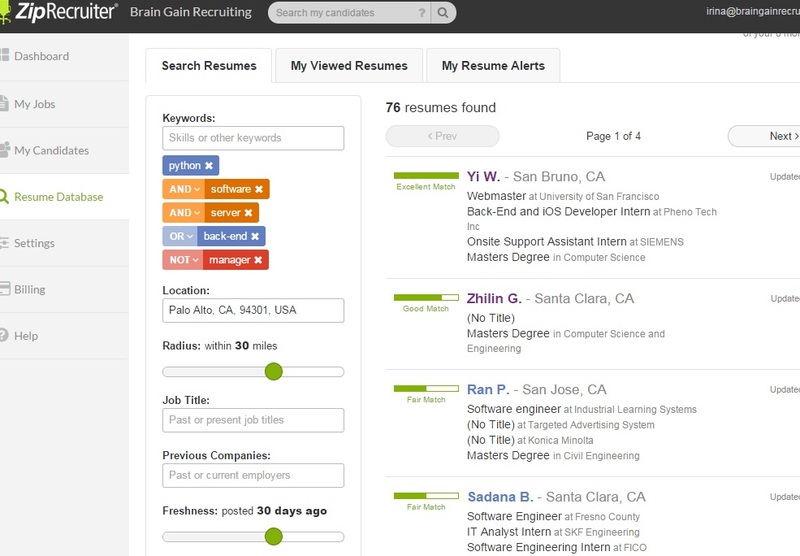 ZipRecruiter Resumes is a nice addition to the sites outside LinkedIn to source from.